Gina Zdanowicz is an award-winning sound designer & composer and owner of Seriallab Studios. Her sound can be heard across multiple platforms on over 65 game titles ranging from award winning AAA titles to casual games such as Bioshock2, XCOM, CrimeCraft, Motion Explosion for Kinect, Web (ESPN Arcade, Nick.com & B.E.T), Wii, DS, iOS, OUYA, Android & Film & TV. Gina started her passion for video games at an early age and her two passions merged when she graduated Berklee College of Music, with a BM in Music Synthesis. She keeps her technical abilities sharp by taking on producer, level design and audio integrator roles. Her varied experience in the game industry gives her in-depth knowledge of all aspects of the production cycle from start to finish, which allows her to greatly contribute to the overall process. 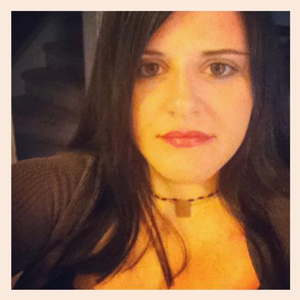 In addition to her work in the game industry, Gina is an Instructor of game audio at Berklee Music online. She continues to score independent films, which have won awards at film festivals throughout the world and have premiered on networks such as Comedy Central. She is also a member of the Game Audio Network Guild and I.G.D.A.